Are you looking for alternative transportation services in Manassas, VA? Try vanpooling with 234 Enterprises, Inc., the choice van transport service provider in the area. 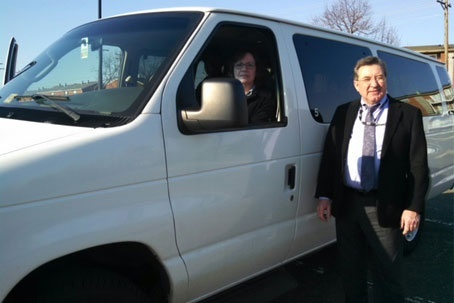 We offer vanpooling services from Manassas, VA to the Washington, DC metro area. We’ll not only help you save money but also save you time when you share a ride going to your office daily. Browse through this page to find out why people trust us for their transportation needs. Provide safe, dependable, and courteous service at a reasonable price. Keep vans maintained in top mechanical condition. Assure that the van is clean and comfortable. Retain skilled and competent mechanics who are available to provide necessary maintenance in a timely manner. Take all steps necessary to assure that the van runs on schedule. Employ only drivers who are skilled, courteous, dependable, and safe. Use sound judgment in determining whether to provide service on inclement days–upon request, passengers will be reimbursed the daily charge if service is not provided and the passenger uses alternative transportation. *Note: Reasonable prices should not be construed to mean the cheapest–because they are not. They are "reasonable" for the level of service provided. A relaxing daily commute is possible with 234 Enterprises, Inc. For more information about how our transportation services work, give us a call or send us an email. Our staff will get back to you as soon as possible.